Add some everyday elegance with our Cherry Topaz Studs! 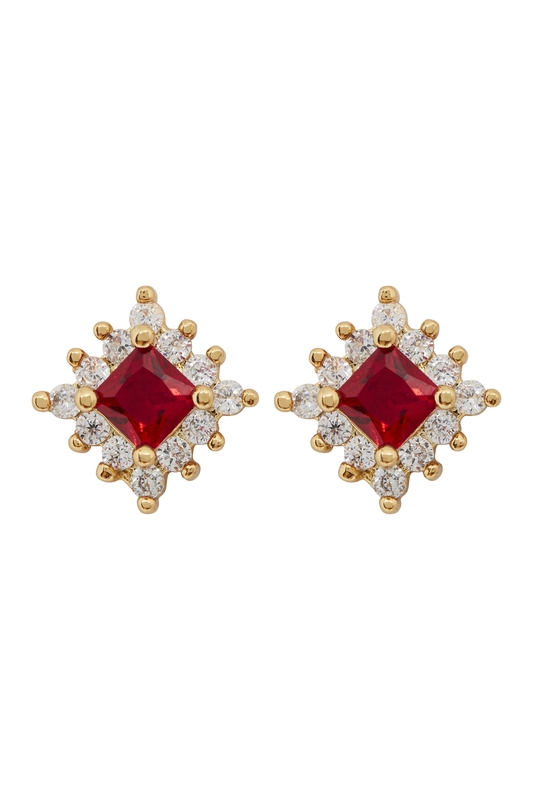 Embellished with red and clear crystals, these simple square studs are an uncomplicated accessory for this season. Match with our Catherine Velvet Evening Bag to really get the look! Comprised of mixed metals. Not real topaz. Love the look? Check out our Ruby Elegant Earring and Necklace Set!